In Windows 10 the quality of the install is more important than ever before. This compiles the very best install of Windows possible and is a game-changing learning experience that will make you permanently the master of your PC, because you will learn what works best while crafting a great install with your own hands. Several million consumers have completed my installation tutorials without a single complaint and have a better install than any amount of money could buy. Just be sure to follow the steps, which cover everything so that nothing important or irreplaceable is left behind. I'll answer any questions in real time from the Comments section below and will not let you fail. To save space some steps are illustrated by the blue links in the text. Many steps may not apply to you, but if left out might affect someone else. So proceed with patience and take your time. To stretch the new install's setup out over days or weeks you'll learn better how each change affects performance or even make it a diagnostic install. Download Media Creation Tool to create bootable installation media for your matching version and bit-rate. Choose "Create Media for another PC" to automate creating a 8gb+ flash stick installer or download an ISO which can be burned to DVD. Only if MCT won't work for you on any browser or PC, there's an alternate Microsoft Windows and Office ISO Download Tool. For best performance I would use 64-bit for 4gb or more RAM, 32-bit (x86) for 3gb or less RAM. You are entitled to use either bit version with each Windows license. The new modern UEFI BIOS replacement requires 64 bit media - you can check BIOS mode in System Information or by presence of EFI System partition in Disk Management. (To find a location type it into the Search box on Task Bar). If your files are not organized now is a good time to sort them into the User folders (Documents, Desktop, Pictures, Music, Downloads, etc. )for your named User account using one of The many ways to copy, move, or delete multiple files. I find the easiest way to do this is to browse on the left-hand Explorer bar to C:\Users\[Your User Account] to expand User folders, then in right hand pane browse to all locations with unsorted files and drag or copy them separately or in groups to the desired User folder on Explorer bar. Finally, delete unwanted files from each User folder. In Edge export Favorites as an HTML file to your backup at Settings > Import from another Brower > Export to file. Another method even if Edge won't open is to install Manage Edge Favorites to export as .html to Documents on the Data tab. This little app also gives fuller Favorites management like IE's. If your email is stored on your computer, Google how to back up specific mail and account settings to get solutions like Backup and Restore all Outlook data and How do I import and export email, contacts, and calendars with Windows Live Mail? - Microsoft Windows Help. Back up stored log-in passwords in Credentials Manager following this [GUIDE] How To Backup And Restore Credentials In Windows 10 . Check to see where Quicken, printer scan-to folders, or any other user installed software is saving your data to include it in backup. Don't forget to De-authorize I-Tunes. Copy any Sticky Notes into Notepad and save file to desktop. Then back up your files externally by dragging or copying your named User account or active User folders to another hard drive, external hard drive, flash stick, disk, or OneDrive app. Once copied to backup double-check all files made it intact. After backing up to OneDrive confirm all files/folders within have a green check mark, right click it's icon to Exit for the reinstall. You can also use the built-in app to Backup Windows 7 User and System Files (added back into Windows 10 Control Panel) or Protect your data files with Windows 10's enhanced File History tool which also applies to Windows 8/8.1. The difference is that Backup does a scheduled backup of files and System Image, while File History additionally keeps past versions of files. But there can be problems with automated backup during Windows 10 Setup so do yourself a favor and also drag your User folders and any other files you want saved to external or another hard drive, USB flash stick, OneDrive, DVD or CD before reinstalling. You can Rescue Files when Windows Won't Start from booted Windows installation media, System Repair Disk or Recovery drive to another hard drive or USB device. If you have a Factory Recovery partition it may not run after Clean Install. You may want to make your Recovery Disks so you have a path back to factory condition, following the steps given in your PC's setup literature or in the Manual located on the Support Downloads webpage for your model computer. As an alternative to Recovery Disks you can save a Windows System Image Backup or more flexible free Macrium Reflect image of your old install. Windows imaging requires restoring to the exact same offset (partition position) while Macrium allows restoring it anywhere. A Factory install may have the Product Key embedded in BIOS as with Windows 8/8.1 and will reactivate itself after install. An embedded key should not need to be provided during install, but can be confirmed by ProduKey which will list it under BIOS-OEM key. You can also retrieve a Retail Product key with this tool prior to reinstall if you've misplaced it's documentation. Check if there is a newer BIOS/UEFI firmware Update on the PC or Motherboard Support Downloads webpage, then follow install steps in the instructions or download's ReadMe file closely. If in doubt ask for help from your manufacturer's Support, or in a thread here with make/model in title to attract those who know. Most important is to guard against any power cut during the update which reimages the BIOS/UEFI chip on motherboard. For those lacking reinstall media for programs, you may find them on the program's Support Downloads webpage. Favorite pre-installed apps may be found on the Downloads webpage for your model computer or manufacturer-provided Apps Disk. Others may be found by googling or asking back here. Some pre-installed apps may not be available for clean reinstall, but this is a good thing because factory bloatware diminishes performance so re-importing too much of it defeats the purpose of a Clean Install. I would only ever install the programs you need and use, preserve their installation media and Product Keys. A good start to audit your present install's software, hardware and Product Keys is to run Belarc Advisor. If needed Office reinstallation media can be obtained via Manage, Download, Backup, & Restore Microsoft Office Products and activated with the Product Key you originally bought with it or audited using Belarc Advisor or ProduKey. A good free compatible alternative to Office is LibreOffice Free Office Suite or OpenOffice. You can also Try Office 365 for free to trial the new subscription Office suite fully integrated into the cloud. Many of the favorite apps needed and desired for reinstall are available in the free app Ninite - Install or Update Multiple Apps at Once. This makes a custom installer you can save which keeps all app installers updated within. Just in case, save in advance your Wireless or Ethernet (wired) LAN driver in your backup so if it isn't provided during install you can install it to get online quickly to install all Windows Updates - which will also provide and update drivers. Your network LAN driver can be found on the Support Downloads webpage for your model PC or device. The exact make/model will be listed in your Device Manager under Network Adapters. Unplug all other HD's and peripherals except ethernet cable to increase chances of starting up connected after install. If not prompted for a wireless key during install it's likely you'll need to install the wireless driver immediately after getting to the desktop, or if ethernet LAN is working you can wait for wireless driver to come in via Windows Update or import from PC or adapter maker's Support Downloads webpage. Legend: Each Boot Menu is slightly different. Above shows Windows Boot Manager which should appear as first boot device after a UEFI install. P5 can be intuited as the DVD drive, while P1 is a Seagate Hard Drive - which can be determined by googling serial. The Kingston flash sticks are available to choose for UEFI install/repair (preferred) or Legacy if one has set BIOS to Compatibility (CSM) mode and seeks older Legacy Install without the newer features. The last listing is to Enter the UEFI firmware or BIOS setup to check over settings if needed, which may have a separate Key to Press to Access BIOS or be entered via Settings>Update and Security>Recovery>Advanced Startup. A UEFI install requires booting the installation media as a UEFI device, deleting all partitions to clear formatting. You may need to turn off Fast Boot in UEFI Firmware to boot UEFI installation media via BIOS Boot Menu Key lest it bypass key. A UEFI install should configure Windows Boot Manager as permanent first device in Boot Priority. For Legacy BIOS keep the hard drive set as first boot device, and use only the BIOS Boot Menu Key to boot media or another drive. This avoids flash media restarting install when PC is rebooted during installation. If Windows 8 or 10 will still boot you may alternatively need to access UEFI media or firmware from within Windows Recovery Settings as explained in What You Need to Know About Using UEFI Instead of the BIOS. Next insert the Product Key from retail packaging if you have one. For reinstalling Upgrade or Factory install skip the Product Key by clicking link similar to the one shown below. If this option does not appear it means an older or wrong version media is being used so make the latest from Media Creation Tool. It will reactivate once you connect to the internet. Then either select the New button to create and format your partitions as you please, or just click Next to let the installer auto-create/format only the necessary partitions and begin install - which makes it foolproof. If you create new partition(s) to format yourself, after selecting the size (in MB) you want for C, it will create small System partitions in addition to the actual Windows install partition C. Leave these alone and choose the first large partition for the install. In the first partitioning screenshot above you'll see a typical UEFI partition structure created for Windows 10 install. The Recovery partition contains the bootable Repair console that in previous Windows was located on C, the EFI System partition contains the boot files, while the (hidden) MSR partition reserves 128mb for possible System use going forward. The fourth partition will be C: and is where Windows should be installed. If you want you can select a size for C: (a popular size is 100gb) that will leave Unallocated Space after it for Data or other partition(s} for your use - you can format both now or this can also be done later in Disk Management following Create and format a hard disk partition - Windows Help. Legacy BIOS' MBR installs only create a 100mb System Reserved in addition to C partition. Whether to create additional partitions depends largely if you want your data in the C partition with Windows and programs, or have it linked from another partition to make the C partition backup image smaller for easier storage. This way if Windows 10 becomes irreparable you can re-image the OS/Programs to C and the data will be current and waiting safely in its own partition as long as it remains untouched. Programs however should optimally remain on C as most become integrated into Windows until individually uninstalled. During install you can create an Admin-level Local Account with your preferred name by telling it you don't have the MS Account email address, then later promote it to MS Account. This avoids having it name your User folder with the first five letters of your MS account email address, which I've tried to get changed but they will not. But you can always set your Display name of choice in your online MS Account. After using Windows 10 for several years I do recommend signing in with a Microsoft Account for fullest functionality, later in Account settings replacing the password with a short PIN for convenience. I also have no privacy concerns or see any performance problems with choosing Express Settings for fullest functionality. But you can also Install Windows 10 with a local account and Customize Privacy Settings. Later in Account Settings you can add Family members and other people. Turn On System Restore in Windows 10: Make sure System Restore is always turned on for C drive and has plenty of disk space apportioned, as this will be your first line of defense and allow you to roll back any undesired changes that affect performance. If Windows won't start you can System Restore or do other Repairs from Advanced Startup Options including the booted media or Recovery Drive. Once online type "Update" in Start Search box, choose Check for Updates, expedite the install (including Restart ASAP if necessary) of all Updates including Recommended - which may lag for several days if not expedited. This is how Windows 10 also delivers newer drivers. After restart go back to Check for Updates again until no more are offered. Any drivers still missing or in error (with a !) in Device Manager after all Updates are installed can be found on the Support Downloads webpage for the model PC or device, along with other OEM software which you can wait to see if you really need. Over time I'd compare drivers in Device Manager with those available on the PC or Device's Support Downloads webpage to install any newer drivers found. If you install a driver and it performs badly you can Roll Back on its Driver tab in Device Manager. Microsoft Display driver is a placeholder driver which only should be used when no other possible driver will install as it will not allow Sleep or Hibernate. So if Updates don't provide a better driver, import it from the PC model's Support Downloads webpage – starting with Windows 10, 8.1, 7 driver, if necessary installed in Compatibility Mode. If this fails check the PC or device maker's Support Downloads webpage to let it scan for the needed download to install. Unknown Devices are often card reader drivers posted on the PC model's Support Downloads webpage along with other drivers which may be revealed by a function still missing on the PC such as laptop function keys or keyboard lighting, or can be traced using Device Manager - Finding Unknown Devices. Co-processor, SM Bus controller, USB and Storage controllers are often elements of the chipset. If no chipset is posted on your PC or motherboard model's Downloads page, use Intel Driver Update Utility, Automatically Detect NVIDIA Products or AMD Auto-Detect to find your chipset and/or Display driver, or ask in our Installation forum. You can also trace any missing driver using Hardware Identification. It's often faster to google the Driver's Details tab Hardware ID (from dropdown menu) than to look it up - see Updating a driver which covers this thoroughly. In the results be careful to screen out tricky driver finder ads in favor of actual driver downloads. If you need help finding a driver, you can ask back here or start a thread here with descriptive title for broader attention. I would not re-import any Factory OEM software until you run for awhile to know for sure you need it. There may be patches on the PC's Support Downloads webpage needed to improve performance so browse them to be aware what's available as you test performance to decide if they're needed. But keep in mind re-installing OEM bloatware besides that which is absolutely needed for good performance or a specific function you want and need defeats the purpose of a Clean Reinstall. In general factory utilities duplicate and interfere with better versions built into Windows. Exceptions include any battery management or drive locking software for laptops if these provide safety or monitoring functions beyond what Windows offers. I always ask Google about each bloatware to see what it does but it really has to sell me to allow it. Another good resource is Should I Remove It? Install programs slowly over time to gauge performance changes after each. You can roll back bad effects of a Program install or Update(s) by uninstalling it or using System Restore. Often these will not repeat but if so check you have the latest Net Framework from Microsoft or report it back here. The new Microsoft Edge browser is still a work in progress yet I find it faster than most others, although I still need a small Manage Edge Favorites app to get full IE-like Favorites management. Edge also opens .pdf's so you no longer need to install a Reader unless you want another. Install your preferred Reader, Browsers, and Flash Player, declining the Optional offers. I no longer recommend installing Java unless you know you need it or are prompted to install it to run a trusted program or web page, as it is an infection path. One of the best things you can do to improve performance is to right click Start Button, choose Task Manager, on Startup tab Disable everything except Flash updater, Sync program, on-demand scanner, or a messenger you need running at all times. None others are needed and only write themselves there to spy on you. Then type msconfig in Start Search, open System Config, on Services tab tick the box to Hide all MS Services, disable everything else there too. Check back periodically to keep these lists as clean as possible. If you have any questions about a listing, Google it to learn what it does or ask us. For example, no wireless manager or extra software except Windows' needs to be in between your PC and router. There is no need to install any other anti-virus protection than built-in Defender which assures best OS performance and is perfectly adequate for those with safe browsing habits. If you get infected then add the inexpensive Real Time protection from the best-in-class scanner Malwarebytes as no one who I've advised to do this has ever gotten infected again. To add a USB printer plug it in and monitor it's installation progress in Settings > Devices. For a wireless printer and to scan from printer top to PC install the full software package from the printer/scanner's Support Downloads webpage, otherwise just the simple driver installed by Windows or Windows Update is often enough. To set up a Home Network see these methods : How to set up network file sharing on Windows 10 • Pureinfotech. Note that Homegroup is removed in Version 1803. For example, I use Windows 10 Mail to collect all of my webmail accounts in one linked Inbox with a large ad-free reading pane. Windows 10's Built-In Mail App: Everything You Need to Know | PCMag.com. On the Start Menu when enlarged it's tile displays new mail, Weather tile displays 3 day forecast, People App displays social media updates, News and Finance apps display customized news briefs throughout the day (and can also be set to pop up news alerts), Calendar displays my events, Pictures app displays latest pics. I enlarge these tiles to show as much as they will. The Start menu will expand or contract to accommodate what you want up to full screen. You can include more of your User folders on Start Menu (like Windows 7) at Start > Settings > Personalization > Start > Choose Which Folders Appear. Allowing Notifications in Settings for your favorite apps gets real time alert sounds or pop-ins for new mail, etc. above the System Tray and stored in Action Center there. It is all very useful and I'm adding a new app every few months as I get to know them. Or you can turn off any Notifications you don't want and even Uninstall Apps you don't want. Before copying your files into the new install, now would be a good time to download, install and run a scan on them with Malwarebytes to make sure no infection is being reimported. You can turn off the trial version in Settings to use MBAM as an on-demand scanner which is best. To manually copy your files into the new install open the storage folder, open each User folder (Documents, Pictures, etc.). From the Organize tab choose Select All, drag the group to the corresponding folder under This PC\C:\Users\YourUserName on Explorer bar at left. Wait until the bar stops unfolding and hypertext confirms the precise copy location before releasing the left click. If this method makes you nervous, right click on the file group to Copy, then open the corresponding target user folder, in an empty space right click to Paste. Do not copy hidden AppData folders from User Accounts as these are a corruption path - another reason not to use file transfer apps, which can also lose files. If you're using a separate data partition copy your User folders to it, then you can move the new install's active User folders location to there following How to Change the Location of User Folders in Windows 10. If you move the User folders use another Backup Imaging app like Macrium Reflect as Windows built-in System Image Backup will want to include the data drive which now holds System files. I use two methods now to back-up and sync files: I keep my Active User folders (Documents, Pictures, Downloads, Music, Desktop) across all my devices rooted in my OneDrive folder following Sync, Backup and Store your Files to the Cloud with OneDrive. I also like Google's New Backup and Sync app which now can designate User folders to keep backed up to the cloud in real time. The User Favorites folder will populate IE Bookmarks.. Import another browser's Bookmarks from HTML file backed up previously. Edge can import Favorites from other browsers in Favorites settings. Copy Quickbooks and other Program data into it's default folder location. If the PC has an embedded Windows 8 Home Product key from factory, note that latest media now available in Media Creation Tool may force reinstall of Home version without a menu choice for Pro. If you already have Digital Entitlement for Windows 10 Pro on the PC then after install in Activation settings insert the default Product key for Pro VK7JG-NPHTM-C97JM-9MPGT-3V66T to change version to Pro, which should soon thereafter reactivate with the Pro version Entitlement. If you have a Windows 8/8.1 Pro Pack Upgrade you can insert it's key in Activation Settings to reactivate. 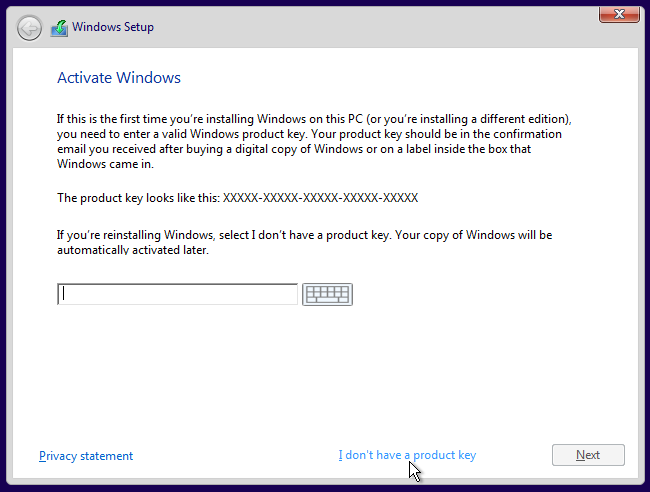 As of Sept 2017 the Activation Settings link to Change Product Key is still accepting Windows 7, 8 and 8.1 Product Keys to freshly activate Clean Installs. Please notify us in Comments section below if this changes. See also Here's how you can still get a free Windows 10 upgrade | ZDNet. Type Disk Cleanup in Start Search to clean up what it finds, then type Optimize to open Drive Optimization app which will defrag hard drives, and check trim on SSD's which shouldn't be defragged. Type Maintenance to make sure automated Maintenance is Enabled and functioning. Periodically run a full scan with free Malwarebytes and AdwCleaner on-demand scanners, declining the Malwarebtyes trial in Settings unless you're prone to infection - in which case purchasing MBAM Real Time protection almost always resolves this when safely run in tandem with Defender. AdwCleaner doesn't install itself but runs from its download which is Updated frequently enough I would keep it as a Browser Favorite. The most important thing you can do to avoid spyware creeping in is to watch your program installs like a hawk at every step, because freeware authors have found ingenious ways to sneak in sponsoring adware with tricky check box choices - even in the License Agreement. Always do a Custom install and only allow the features you know you want, check later to remove anything extra in Control Panel>Programs and by running a full Malwarebytes and AdwCleaner scan which roots them out as deep as they can go. Keep an eye also on your Browser Add-Ons or Extensions to only allow the ones you know you want or are required to make a page display correctly, including Flash, Shockwave, WMP or Quicktime plug-in, a reader. Also under Add-Ons monitor Search services to remove any but Google or Bing in the stable browser search box, tick the box to disallow any others from sneaking in. Strange search services are often spyware. I only allow Google or Bing in the stable browser search box which on most browsers blocks spying. You can customize Power Options by right clicking the Start Button to choose it. Most users only need the Balanced Plan at default settings. Many users prefer selecting Hibernate instead of Shut Down for "Choose What Power Button (or Closing the Lid) Does," from Hibernate button in Start menu, or a Hibernate Shortcut or Hotkey, as it keeps in place your open work while still powering down completely and starts up much faster. Just remember to restart every few days to refresh things. Sleep and hibernation: frequently asked questions. On smaller drives if Hibernate doesn't show up in Advanced Power Options (under Sleep) you may need to Free up space on your disk drive by compressing the Windows hibernation file. I still solve any Sleep problems e.g. timeout failure following these reliable steps for Sleep Mode Problems. For a nice introduction to new features in Windows 10 type Tips in Start Search and open the app. Microsoft has collected spectacular Themes collections to download and set as a slideshow. These will install in a Menu to choose between at Settings>Personalization>Themes. After changing Theme set Screensaver (at Settings>Personalization>Lock Screen>Screensaver Settings) to None to avoid unnecessary screen timeout (an inexplicable annoyance I'm trying to get changed). Finally, type File History in Start Search box, set up backup for your files to external or another hard drive. How to use Windows 10's File History backup feature. Free fire- and theft-proof cloud alternatives are keeping Active User folders (Documents, Pictures, Downloads, Music, Desktop) across all devices rooted in OneDrive folder following Sync, Backup and Store your Files to the Cloud with OneDrive and Google's New Backup and Sync app which now can designate User folders to keep backed up to the cloud in real time. I try to respond to this Wiki's Comments section the same or next day at latest. Not sure if I should post a link though what do you think ? Nothing less than official, Mike. After MVP Summit I should have a bunch more. Did you have any specific questions Rodger? Anything in particular that is hard to understand? I have a new ssd and was planning on clean installing to this , disconnecting my old drives, currently I run a free upgraded 32bit version of Windows 10 , can I clean install a 64bit version and activate without problems? Yes, should be no problem at all if you stick with the steps here. Greg, excellent tutorial but I'm a little unsure about doing a clean install on a multi partition drive. My system has Win 10 (free upgrade from Win 7) installed on a 5 partition drive (C thru G). Windows is on C along with installed programs. "My Documents" & program installation files are on D. The other partitions are for various other data files. Can I successfully 'clean install' on C without wiping out D thru G? My C partition is 130 MB and I'm okay with wiping it out diring installation. I just want to be able to keep the other partitions intact. back here I'll look it over for possible problems. Absent any, you can always protect a data partition during reinstall by making doubly sure not to touch it at any time during install. What I do when I have data partition(s) is delete all of the other partitions to Unallocated Space, then create and format the partitions needed for install in that space. Again, as long as you don't touch the data partitions then I've never seen it affected. In addition always unplug all other hard drives/SSD's during install to avoid interference. Thanks Greg. Your second sentence answered my question. I've been running Windows 10 since the middle of August when I ran the free upgrade over windows 7. Then, two days ago it somehow got really messed up. It takes 45 minutes to boot and the C drive is continuously active. I can't get IE to run. Many problems! In the old days when something like this happened I would just put the Windows CD in the drive and just rerun the the OS installation. That would usually solve problems like this. So I plan to create the windows 10 installation media and just reinstall to the C Drive following your instructions. What do you think of my plan?